Serum protein fraction (SPF) is a common parameter reflecting the nutritional and inflammatory status of the human body. However, its role in patients with cancer, particularly those treated with targeted agents, is unknown. 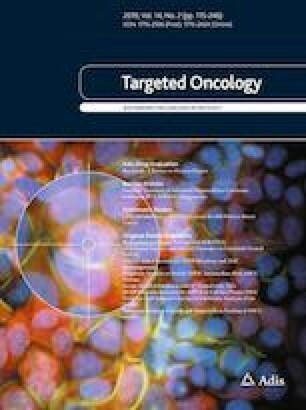 We conducted this study to explore the prognostic value of SPF in patients with metastatic renal cell carcinoma (mRCC) treated with tyrosine kinase inhibitors and its association with clinical characteristics. Patients with mRCC (n = 213) who initiated first-line sunitinib or sorafenib systemic therapy for metastatic disease between March 2007 and June 2017 at Zhongshan Hospital, Fudan University, were retrospectively included in our analysis. Clinical and pathological data were collected. SPF was measured by capillary electrophoresis. Prognostic factors of overall survival (OS) and progression-free survival (PFS) were analyzed using the Cox proportional hazards model. Correlation was estimated with Spearman’s correlation coefficient. Among all SPF components, high α1-globulin was an independent prognostic factor for OS and PFS (dichotomized by median, hazard ratio [HR] 2.356; 95% confidence interval [CI] 1.399–3.966, p = 0.001; and HR 1.994; 95% CI 1.360–2.923, p < 0.001, respectively). In our cohort, α1-globulin showed better predictive value for OS than the International Metastatic Renal Cell Carcinoma Database Consortium (IMDC) model (C-index 0.682 vs. 0.597; p = 0.005). Moreover, serum α1-globulin was positively correlated with International Society of Urological Pathology (ISUP) grade (r = 0.237; p < 0.001), tumor size (r = 0.242; p < 0.001), initial tumor/node/metastasis (TNM) stage (r = 0.185; p = 0.007), and IMDC risk group (r = 0.485; p < 0.001). High serum α1-globulin correlates with high tumor load. Serum α1-globulin is an independent prognostic factor of OS and PFS in mRCC and demonstrates better predictive value for OS than does the IMDC model. Xiang Chen, JiaXi Yao and Li Liu contributed equally to this study. The online version of this article ( https://doi.org/10.1007/s11523-019-00625-9) contains supplementary material, which is available to authorized users. The authors sincerely thank Ms. YaoYi Gao (Department of Laboratory Medicine, Zhongshan Hospital, Fudan University) for providing information on methodology around SPE. This research was supported by grants from the National Natural Science Foundation of China (81772696, 81472376, and 81702496). Xiang Chen, JiaXi Yao, Li Liu, WenZhong Zheng, XiaoYi Hu, YanJun Zhu, Hang Wang, and JianMing Guo have no conflicts of interest that might be relevant to the contents of this manuscript. Ljungberg B, Albiges L, Bensalah K, Bex A, Giles RH, Hora M et al. EAU guidelines on renal cell carcinoma. 2017. http://uroweb.org/guideline/renal-cell-carcinoma/. Accessed 06, Aug, 2017.